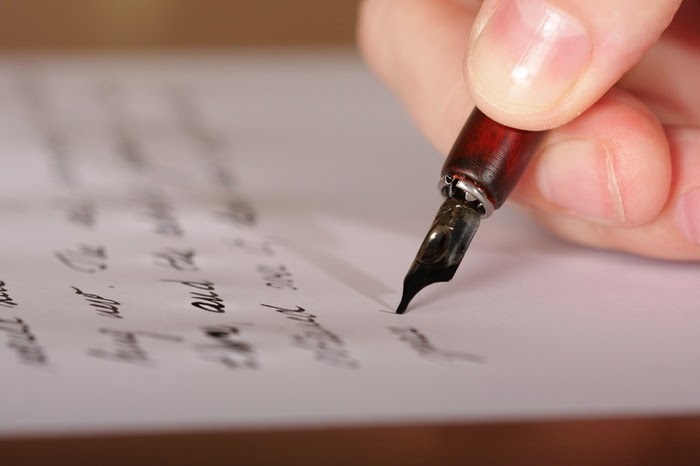 In the past — before the age of the internet when print media reigned supreme — the only way to get your views across on sociopolitical issues to a wider audience is to pen a letter to a newspaper. It's not always easy though. There was always the question on censorship and whether your writing style or grammar could make the cut. This all changed when the computers and world wide web arrived. While you technically still can send in your opinion to the old timers like the Straits Times and Today, there are more avenues today in which you can project your thoughts to a wider audience without relying on the conventional print media. One way is to put them down on your own blog or online journal, but with those you have the issue of not having a reader mass to begin with and you would need to put in quite a bit of effort to gain the traction. Unless you choose to do a Amos Yee and put some controversial stuff online of course — even in his case it took him a while before he got really popular — but generally it's harder to reach a big group of people when you are starting out on a personal platform. Another way — which may be easier — is to rely on alternative media online. They may already have an established reader base and most of them would be more than happy to welcome your views to bolster the amount of content that they have. Here are several sites in Singapore where you can submit your articles on sociopolitical issues. The Online Citizen (TOC) - TOC has been around for quite some time now and their focus is mainly on news and political happenings in Singapore. They have their own in-house editorial and journalist teams, but generally accept letter and commentaries on various issues in Singapore. Personally, I feel that they lean slightly to the anti-government site, but generally they try to stick close to the neutral point. You can submit your writings using an online form, but it is subject to approval and must stick to their policy on posting articles that are not "unlawful, libellous, defamatory, grossly offensive, dangerous or false, or any content that is protected by copyright or other intellectual property right, without first obtaining permission of the copyright owner or rightholder." There is some form of discretion involved in selecting articles for publication and I feel that in general TOC does not publish any articles that are too close to any of the extremes. The Real Singapore (TRS) - TRS may be sort of dead now, but I am including it here because you used to be able to submit almost anything to them. Heck, they even copy any articles that they could find. Their submissions are mostly sensationalised and to them, the more controversial the better. Their supposed sister site, States Times Review is up for a while now and seems to be going down the same part as TRS, with articles that point towards an anti-foreigner and anti-government stance. There was also the concern of how accurate the article submissions may be, where basically what you submit will be published, as long as you fit into their agenda of going for sensationalised news. Another outlet that you may want to consider falling into the similar vein too is All Singapore Stuff, which posts "anonymous" contributions from various sources. Most of their articles are submitted by a same guy called Farhan, but due to the nature of their articles, they have quite an impressive reach as well. There is also Kaki News Network, who operates solely (?) on Facebook and receives mostly photo submissions to share. KNN (heh) is not as controversial but would still not be afraid to share any "juicy" stuff that plays into current perceptions to gain hits. 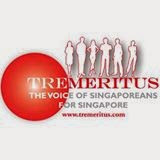 Temasek Review / TR Emeritus - TR is something like the few previous entries before this, with the exception of having a stronger community support. They are well known for their anti-government stance with the perhaps the biggest readership base among all the anti-government sites. They have the most articles and even a forum for users to participate in. This is what sets them apart from the rest: A membership plan where you have to pay to support their operations. If you want to bash the government, this is the site that you would want to go. However, like all anti-govt sites, TR mostly reaches out to a specific community in Singapore, which I think tends towards one side of the extreme. Still, quite an active community out of most of the sites. 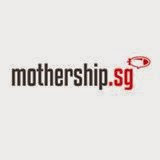 The Mothership - Mothership to me is like the Buzzfeed of Singapore. They have one of the most amazing reach, with estimated views of around one million+ monthly (according to similarweb.com). They have an incredible list of contributors and are looking for freelance writers as well. Mothership is fast and efficient in picking up various news in Singapore, as well as writing them in an entertaining manner. It is this ability of theirs that enable them to reach out to a lot of people. Like A LOT. 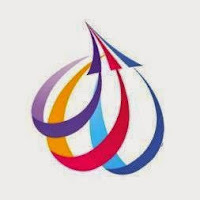 They're certainly one of the most successful, though it is hard to say how likely they will publish your article submission on their site, given the stuff that mostly go on theirs as I feel there may be a high standard involved. Another website that is quite similar to Mothership is MustShareNews.com, which focuses on the different happenings in Singapore as well, and in writing in a style similar to Buzzfeed. Witty, sarcastic and down to earth. 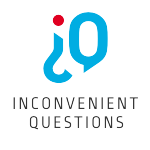 Last but not least, is Inconvenient Questions Singapore, the place where I am working at right now. IQ can be considered the new kid on the block, with high hopes of being the middle ground. It is similar to The Independent, with one extra niche: panel discussion videos, where prominent figures are invited to debate on pertinent issues. We're still quite new and still trying to find our footing (it's not easy trying to stand out in an already crowded market), but generally IQ wants to be at the center between the mainstream print media and the anti-government online media. We accept articles that tend towards the middle without any hidden agenda and baseless provocative remarks. Users can also raise questions on our site pertaining to larger happenings around Singapore too for the community to answer. The general guiding principle at IQ is to have thought provoking submissions without the need to go either extreme. Hopefully, we'll be a substantial third force in the market. Out of all the sites, I won't say any site is significantly better than the others. All sites have their niche and viewpoints to offer, but would generally try to stick to their guiding principles. If you want to make your voice heard, you may want to capitalise on the already established fan base of the different sites. One thing to note is that each of them caters to different community and may not agree to your article if it doesn't fit the direction of the site. But if you're looking to get your thoughts out there — particularly on an important issue — these are some of the sites that you may want to consider. And to those who claim that the online space in Singapore is not lively, they should definitely take a look at the number of different sites operating online. Did I miss out any sites or are they any mistakes that I made? Do let me know in the comments section below.